The Harper's Bazaar UK September issue cover is officially released and who do we see starring back at us? 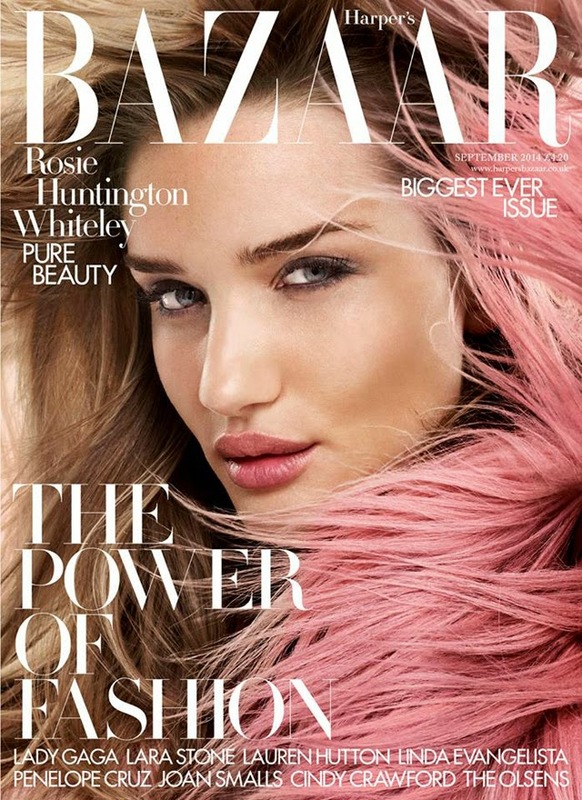 It's Rosie Huntington Whiteley looking, well, rosy to be exact. The supermodel is windblown for the cover of Harper's and is working a rosy coloured pout and cheeks that seem to match her furry Gucci coat perfectly. As Harper's so accurately states, "It's all coming up Rosie."